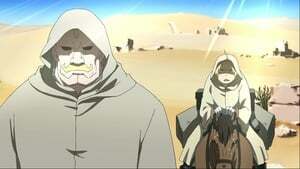 Edward travels with Armstrong and Breda to an unexpected place, where he learns the truth of what happened to Maria Ross. 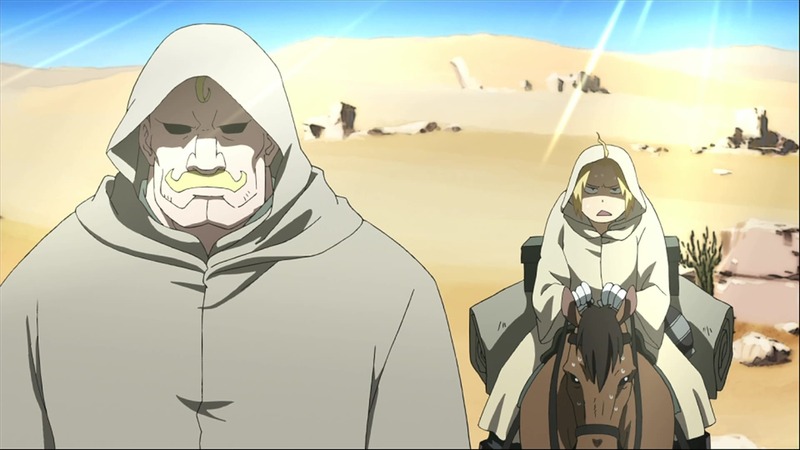 Back in Central, Ling visits Alphonse and Winry to apprise them of the events, while a new foe appears to cause trouble for Mustang’s subordinates. 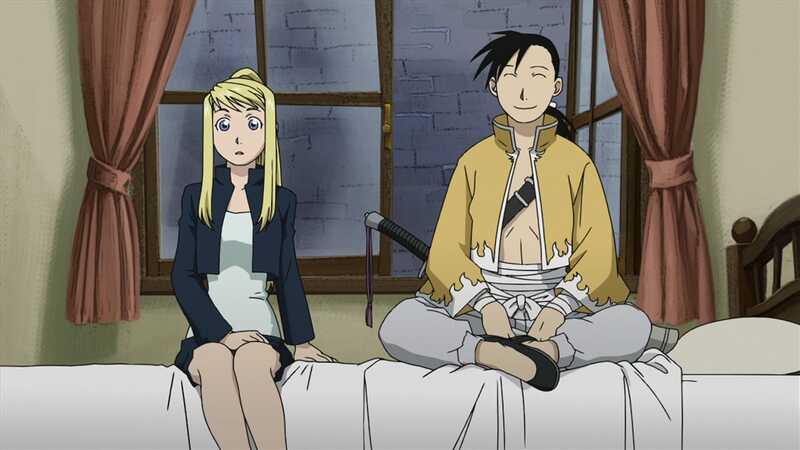 Elsewhere, Ed encounters some people who reveal horrifying details concerning the fate of Winry’s parents.